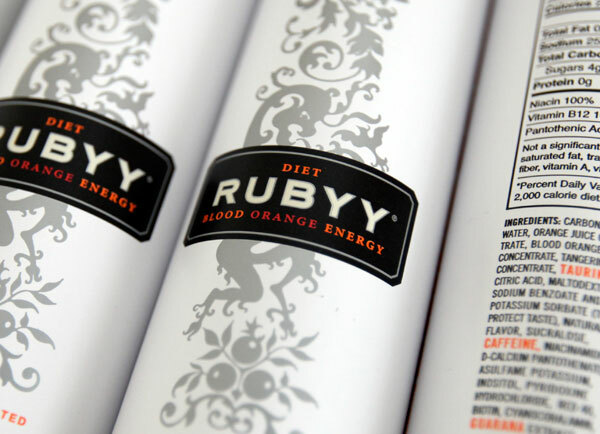 A while back i showed you the amazing bottles of Rubyy Blood Orange Energy ~ they even have that amazing matte black finish with blacklight loving illustration on it. 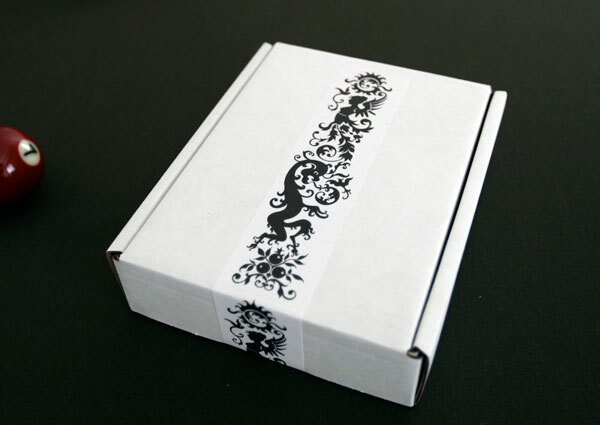 Well, freshly launched is the DIET version, in an inverted angelic white with a black logo… and the same gorgeous silver graphic… three samples of these just arrived in a box sealed with that same print on paper tape! 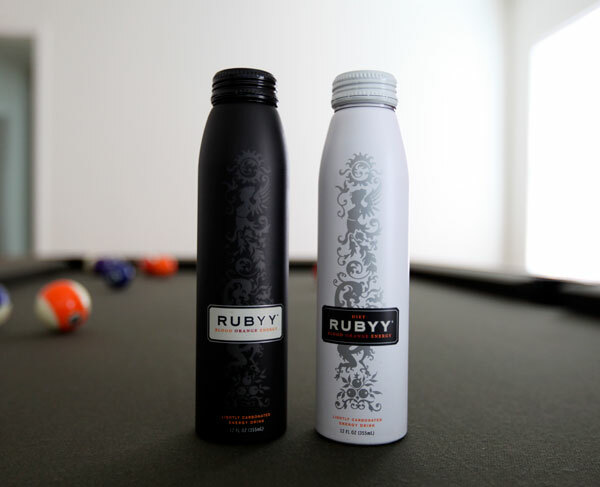 Find out more about Rubyy here and take a peek at the latest packaging, as well as a look at it next to the classic black bottle on the next page! 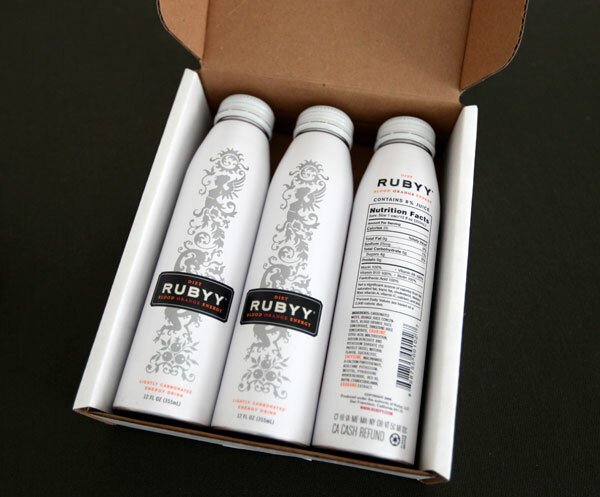 Wow, that packaging is beautiful. I like how the graphics sort of allude to the familiar tribal graphics, but upon closer inspection are much more than that. 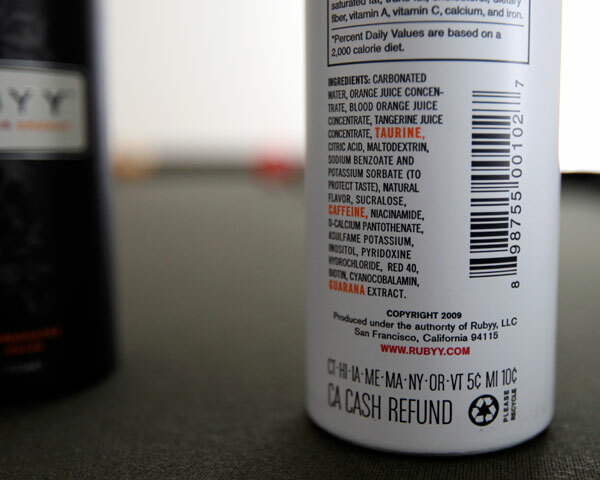 Also, the color choice is amazing.